How much leakage is through the attic, the basement, the attached garage? The only method for answering these questions This webinar addresses the ZPD basics to the advanced features. Learn about non-modifiable and modifiable zone analysis, the use of your digital manometer for ZPD testing, and the meaning of your results. The accurate and cutting-edge free Residential Energy Dynamics (RED) ZPD tool will be used for examples. Rick Karg is President at Residential Energy Dynamics (or RED) He received his M.A. in economics from Miami University in Oxford, Ohio in 1972. He taught economics at New Hampshire College and spent ten years as a building contractor before beginning his long career in the residential energy field. He has worked with the DOE low-income weatherization program on national and state levels, is a frequent presenter at national energy conferences, has worked with gas and electric utilities, writes curricula, standards, and codes. Rick has been on the ASHRAE 62.2 committee since 2007, and serves as an editorial adviser for Home Energy magazine. He has been developing and marketing software for residential energy analysts since 1995. He received the 2015 Phillip C. Hastings award from Efficiency Maine for “his outstanding leadership in the field of building science and energy efficiency”. In 2016 he was inducted into the Building Performance Institute (BPI) Hall of Fame. New features of the 2016 Standard are made clear, including expanded scope, horizontally-attached dwelling considerations, de minimis for existing dwelling whole-building ventilation rate, updated provisions for new kitchen exhaust fans, and clarification of the alternative compliance path. With the help of the free, online RED ASHRAE 62.2-2016 tool, viewers will be able to accurately calculate ventilation needs for any existing or new dwelling. Intended viewers: building performance and HVAC contractors, low-income weatherization analysts, code enforcement officers, or anyone interested in learning more about ASHRAE 62.2-2016. Powerful info about our economic future…. 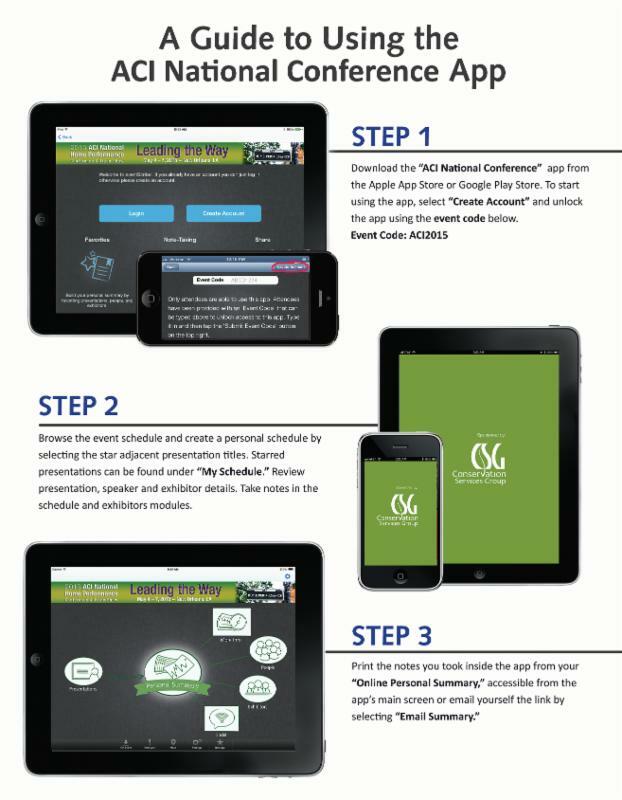 Stay up to date at the 2015 ACI National Home Performance Conference with our app, sponsored byConservation Services Group. Get the latest information on sessions, presenters, and more by downloading the app to your smartphone. Visit the App Store or Google Play to begin and follow the steps provided here! What can I do with IAQ? 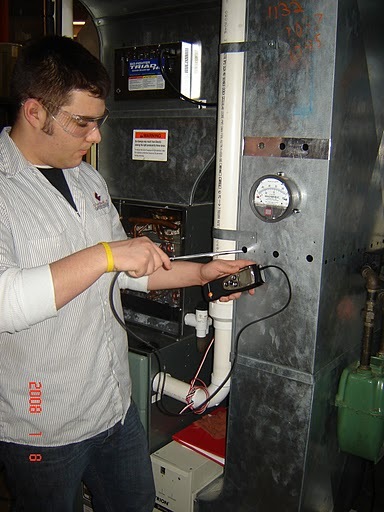 Indoor air quality remains a major opportunity for companies doing whole house auditing and retrofit work. Yet despite growing health concerns amongst consumers, and increasing incidences of asthma, the challenges of capturing IAQ leads, testing homes affordably and converting to comprehensive solutions are as vexing as ever. In this webinar, industry veteran and tools expert Bill Spohn discussed his vast experience in the field, including how to affordably test homes, what homeowners are looking for and how to develop retrofits that solve air quality issues. 3. Learn about mitigation measures that address specific indoor air quality problems. A Defender LL6070 Monitor can give you crucial, early warning of a developing CO problem. Even mild exposure to Carbon Monoxide, can cause flu-like symptoms including headaches, nausea, vomitting, and fatigue, especially for high risk individuals. Most CO monitors are designed to detect moderate to high levels of CO exposure that may only affect healthy adults. This new, ultra-low level carbon monoxide monitor employs an electrochemical sensor for precision detection. It continuously displays CO levels of 5 ppm or more. A visual alert is activated when 10 PPM of CO is detected, and visual and audible alarms begin at 15 PPM. Its’ quick, easy and secure mounting system makes it ideal for single and multi-family homes, nursing homes, and daycare facilities. Do you know the key differences between UL-2034, the Standard for Safety of Single and Multiple Station Carbon Monoxide Alarms, and Low Level CO alarms? The Defender LL6070 is intended to alarm when exposed to long term, low levels of CO and slightly higher, short term transient levels of CO, UL-2034 Alarms are NOT. When a UL 2034 alarm goes off, it IS an emergency! A Defender LL6070 Monitor can give you early warning of a developing CO problem, so you can prevent it. TruTech Tools is pleased to offer the all new Defender LL6070 low level CO Alarm for only $149 each! *Call us 1-888-224-3437, for bulk pricing if you wish to offer these for sale as a service to your clients.